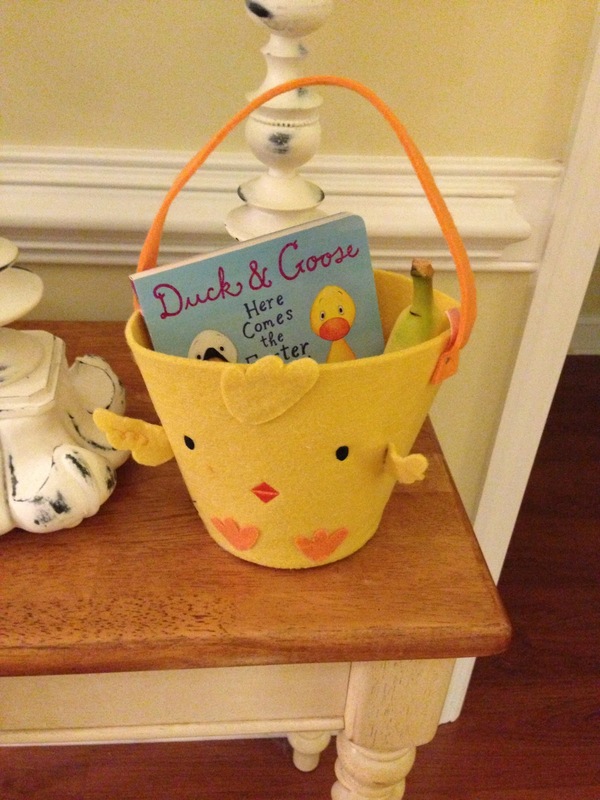 After we finished up at our church's Easter festival, we headed back to Grammy for Easter crafts and baking! Cooper was happy to have us back. He is a pulling up machine these days! LL was super excited to bake some Easter cookies! It was hard work to keep cookie dough out of this guy's mouth! This was the first time that Cooper learned how to open cabinets! After everybody's afternoon nap, we headed outside for some Easter pics! I LOVED LL and Cooper's matching shirts! I mean - oh my goodness. The best one we got! Next up: dying Easter eggs! 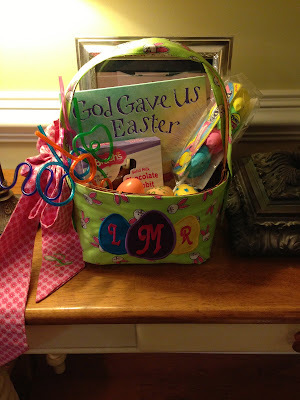 After they went to bed, the Easter bunny came to drop off their goodies! 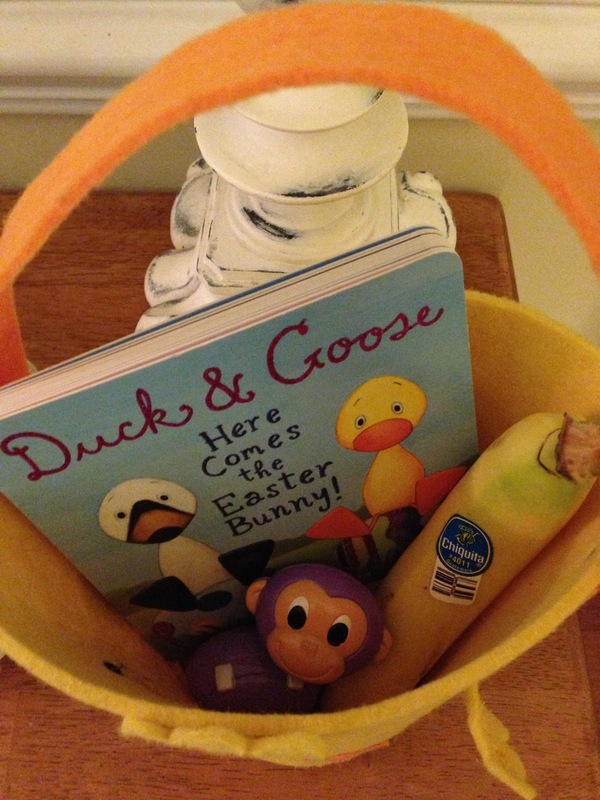 For Cooper: a book, a banana, some puffs, and some yogurt melts.